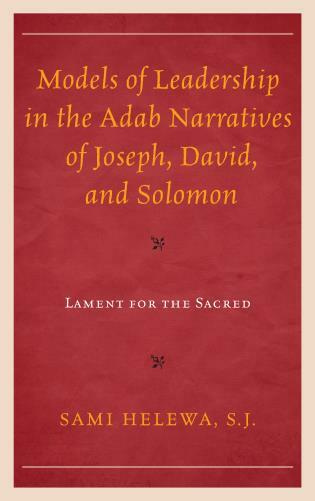 Qiṣaṣ al-anbiyāʾ (Tales of the Prophets) in terms of the leadership of ancient prophets in a Muslim context of friendship and enmity in the narrative detail of the prophets Joseph, David, and Solomon. Although the Qiṣaṣ genre is not court-based, advice literature, these tales could function as advisory literature through the legendary-prophetic figures. It is hardly surprising that the prophets of ancient times have been moral prototypes for the Judo-Islamic search for religio-political leaders. However, the themes of leadership, friendship, and enmity are embedded in these tales in the writing of great Medieval-Muslims like al-Ṭabarī of Baghdād and al-Thaʿlabī of Nīshāpūr, who were great scholars (ʿulamāʾ) and men of literature (ʾudabāʾ). Like the religious side of these tales, Helewa maintains that the adab side of the Qiṣaṣ has equal importance of meaning to the struggle of ancient prophets in their friendships and hostilities. These tales, as astutely compiled from Baghdād and Nīshāpūr, mirror interesting cultural nuances of expected leadership inherent in these great cities of learning. This book will be a great value for those interested in the Sīra genre, the overall Qiṣaṣ genre, the inheritance of prophets, the adab of religious writing, the advice literature, and the history of Baghdād and Nīshāpūr.